Smartphones have become an essential part of our day to day lives no matter how much we deny it. They have become in many ways an extension of our selves. They contain highly private data of our personal and financial lives. They are also our go-to devices for quick communication and entertainment nowadays. Everybody owns a phone nowadays. And that is why they are easy targets for thieves because they are easy money. That is where IMEI numbers come in. Today we’ll explore what an IMEI number is, what is its purpose and what you can do with it. Ever used a fingerprint sensor on your phone? I bet you must have. Just like your phone uses your fingerprint reader to identify you, an IMEI number is a unique number to identify your phone. To be specific, it is related to your SIM slot. That is why a dual SIM phone will have two IMEI numbers for each slot. You might ask why the number is assigned to a SIM? Well, the International Mobile station Equipment Identity number (IMEI) is designed for cellular networks. That is why it can also be found on 3G/4G tablets and laptops with PCMCIA cards too. Generally, IMEI has 14 digits. There is an extra 15th letter to verify the entire string. The IMEI number also has a format which it adheres to since 2004. The format is AA-BBBBBB-CCCCCC-D. Here the 6 numbers under the “C” will be your unique IMEI given by the handset manufacturer. There are two main reasons. The primary function is to verify phones, the secondary one is to be a safety measure against theft. 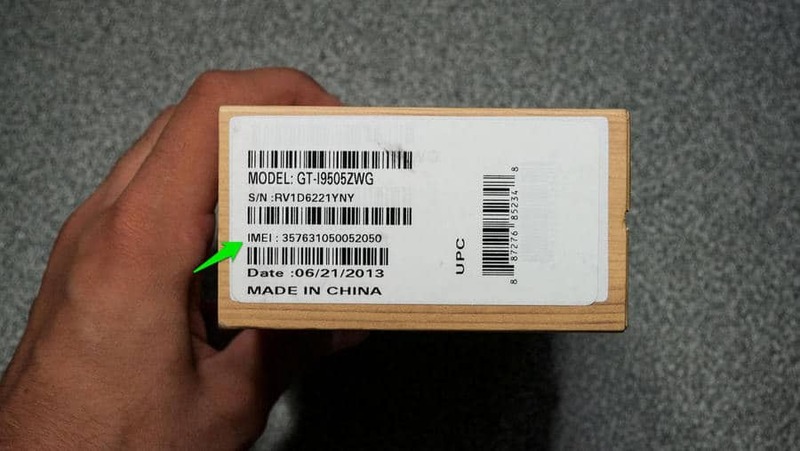 IMEI numbers are sort of embedded in the DNA (hardware) of your phone. So, if a thief changes the SIM, and uses another, a network or carrier can be notified and hence block it out of the network. This info is then relayed to other networks as well. Note: It is very important that you keep a record of your phone’s IMEI numbers. It is important that you don’t share it online where it is publicly accessible There are malpractices in the market to change the IMEI of a device using the software. Those who do it may use non-blacklisted numbers to make their stolen device work. Hence, never share your device IMEI or it might be cloned. IMEI changing is illegal by low and action can be taken against practitioners. *#06#. The resulting number that will be displayed is your IMEI number. For both iOS and Android, you’ll be able to find it in the Settings menu. Besides the software, it is also found in the retail box of your phone, on the back, and sometimes on the SIM tray. What can you do with your IMEI? Apart from what we mentioned above, IMEI can help hard reset your phone remotely. This can be useful in times when you fear your personal data is at risk. The website IMEI.info is a well-known portal that provides such services for paid members. Also, when you’re buying Chinese clones or second-hand devices, you should hit up these websites and check their IMEI. There is a phone blacklist section as well on several of these portals that will be very helpful.